Paint. Share. 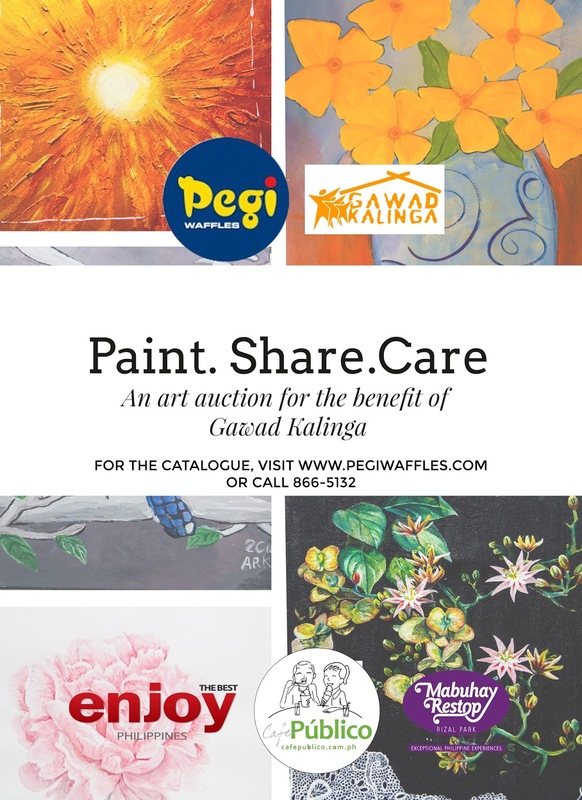 Care., an art auction to benefit Gawad Kalinga, is an initiative of Anna Roman-Katigbak of Pegi Waffles, GKonomics found Rose Cabrera, together with other volunteers who are children (as young as 6 years old), hobbyists and mothers. The goal of this auction is to bring together artists and hobbyists who have great appreciation for art and would like to share their passion to help others. Through this , we may overcome many obstacles like distance and time to bridge the gap between these artists and the community in need. After visiting the GK community in Talibon, Bohol, we saw that many homes were destroyed by the deadliest earthquake in 2013, and then after 2 weeks, Typhoon Yolanda hit the community as well. Through Paint. Share. Care., talented creators like Vince Padilla, art enthusiasts and GK volunteers aim to raise resources to build new homes for this village. Our vision is to provide a venue where creative children, hobbyists and famous artists can make a platform to raise funds through the sale of their masterpieces for noble causes such as the Gawad Kalinga organization, which aims to help the country via poverty alleviation for ten million Filipinos. "Art can be a great equalizer." were the apt words of Rose Cabrera. "We hope that children who live in GK communities can also be taught art, and the ones with the passion and talent to pursue this field can be helped through a collective marketing channel so proceeds of their works can help them and empower these children and hobbyists to help others as well. While affluent kids on the other hand can also be exposed to less privileged communities in the countryside which have been neglected and will have a venue to share and donate their creations through this platform." Anna Roman-Katigbak explained. "We hope that by piloting this intimate art project, we can be a model to be replicated by other GK entrepreneurs who own retail venues nationwide, and by having a digital medium, our potential market becomes international." the Pegi Waffles owner said. 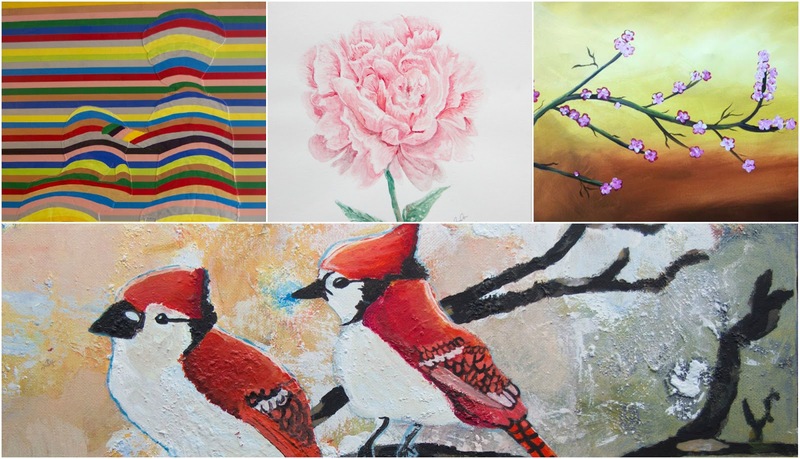 Some of the paintings available for bidding by Jeffrey Cabalquinto, Carla de Guzman, Lizette Alarcon and Andres Roman Katigbak. An art workshop organized by patriotic arts advocate Gina Lumauig at the wafflerie will happen some time in August. No other than Buds Convocar, who is currently the President of the Arts Association of the Philippines, will be the children's teacher for the day. Starting bids for the children's teacher for the day. Starting bid for children's artworks is at PhP 3,000 while the big ones by hobbyists cost PhP 10,000 per painting. The auction opened June 15, 2016 and will run until August 21, 2016. Visit Pegi Waffles at 333 P. Guevarra St., Little Baguio, San Juan City, and Cafe Publico in Promenade, Greenhills to view the paintings for auction. Kindly contact Anna at +632 866-5132 or send an e-mail to pegiwaffles1@yahoo.com for the e-catalog. Please proceed to this address: 2F 212 Haig St., Brgy. Daang Bakal, Mandaluyong City. 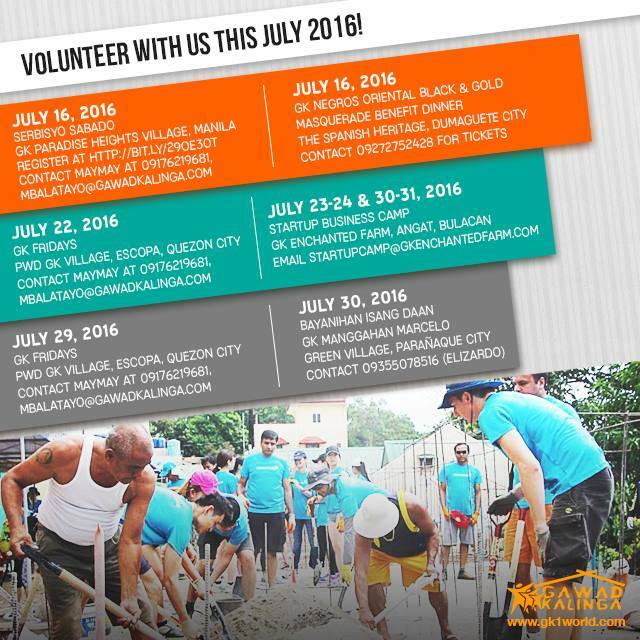 For a different kind and meaningful weekend, volunteer with Gawad Kalinga on these activities for the month of July! Serbisyo Sabado / GK Fridays is a 1-day volunteer activity where you can participate in GK's community building.